The odds were against the Time Online project team, but after an extensive process, the UO-based digital humanities initiative was awarded a $75,000 grant from the National Endowment for the Humanities. Of the $21.1 million the NEH grant allocated this year, only two projects in Oregon earned an award, and of those two projects only UO’s Time Online received the maximum funding allowed. 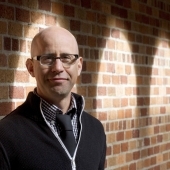 The project is an interactive history of infographic design, and it’s all about collaboration, according to its director and UO Robert D. Clark Honors College history professor Daniel Rosenberg. Rosenberg’s NEH grant will support research, design and coding, bringing together historians, designers and programmers from four universities in as many states. The NEH Digital Humanities Start-Up Grant is one of the most prestigious awards in this new field. 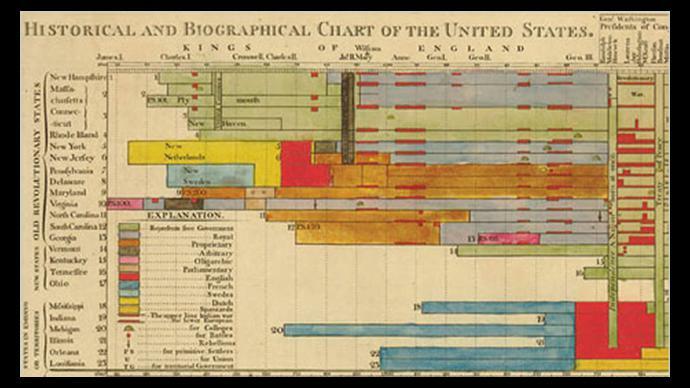 Time Online will produce a “digital exploration of nine groundbreaking infographic charts from the past,” according to Rosenberg. Among the most important are two famous charts by the 18th-century scientist and theologian Joseph Priestley.